The McLennan SBDC team of advisors have deep entrepreneurial knowledge and decades of experience working with a diverse range of businesses. Steve Surguy graduated from Southwest Texas State University with a BBA in Finance. He has over 35 years' experience in the wholesale distribution industry, primarily in the Grocery and Pharmaceutical industries. His areas of concentration include procurement, including State and Federal purchasing, logistics, warehousing, strategic planning, budgeting, employee relations and accounting. He has worked with both independent and chain retail establishments and has owned and operated his own small business. He has served on several national Trade councils in the Pharmaceutical and Grocery industries and continues to look for trends that will best serve the Independent Business Entrepreneur. Jane first visited the McLennan SBDC as a client, and reminiscent of Sy Sperling’s Hair Club for Men tagline, she now can say “I’m not only a client, I’m an advisor!" After spending her career working with some of the most innovative people and companies in the world, she grew to love and appreciate the uniqueness of the place she calls home. In her role as SBDC mentor, she supports the local entrepreneurial ecosystem by giving away whatever she knows about business strategy, entrepreneurship, technology. She is by no means an expert, but has spent several years as an amateur. For bona fides, see her Linkedin profile. Tim Holtkamp has a BBA in Finance from Tarleton State University in Stephenville, Texas. 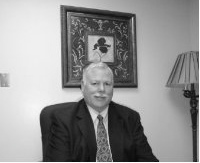 He started Holtkamp Land & Mortgage as well as several other businesses. Tim has several charitable interterests including the Mckenzi Ryan Memorial Scholarship fund which provides financial assistance to graduating students and has awarded over 160 scholarships since its inception in 2002. Tim is a charter board member of both Waco Community Development and Faith Works. In his spare time he raises Santa Gertrudis Cattle on his family farm in Robinson, Texas. Jason Ehler obtained his BBA in Management from the University of Texas at Tyler. He has over 20 years of experience in the consumer service industry with 14 years of management and performance delivery experience within the medical, technology, and financial industries. He is accomplished at lending, strategic planning, client development, sales, marketing, coaching, and organizational development. Jason is a graduate of Leadership Waco and is a current Temple Chamber of Commerce member. Ken Byrd is a 48-year banking veteran who attended Texas Tech University and who graduated with honors from the Southwestern Graduate School of Banking at SMU. Ken has been active in the DFW lending market for 42 years that includes him being past president of two community banks. He is also a founding and active member of the North Texas Association of Government Guaranteed Lenders (NTAGGL). And as a cancer survivor, Ken chairs NTAGGL’S annual Cancer Survivor Charity Golf Classic (for 11 years) that raises funds for cancer research at Baylor Dallas. His 43 years of commercial lending includes expertise of 25 years in SBA/small business financing with a focus on business acquisitions and expansions. He and his wife, Jeri live in Cleburne, TX and they are active in Cleburne Bible Church whereby Ken leads a home group Bible Study. And finally, while Ken loves playing golf, he faithfully served our country as an Army Vietnam veteran.